957 Copeland School Dobson, NC. | MLS# 657089 | North Carolina Farm and Vineyard Specialist Patria Properties Inc.
Patria Properties was the listing and selling Broker. 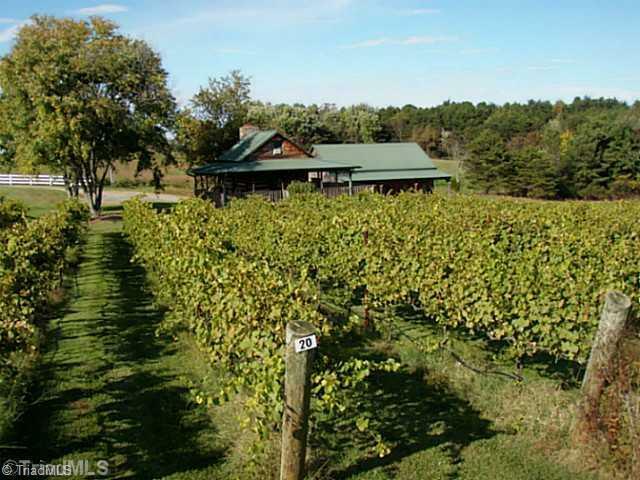 7 acre mature vineyard Located in the Yadkin AVA including a log cabin and a barn built to match cabin all on 31.7 acres walking trails and stream on property. Copeland Vineyards and Cabin established in 2000. This vineyard has a great view of Pilot Mountain and is in a wine trail with 5 wineries including Surry Community College Viticulture and Enology Programs.